Developed by the privately owned aerospace company, SpaceX, the Falcon 9 launch vehicle is a two-stage-to-orbit medium-lift rocket. The launch vehicle features a first stage booster powered by nine Merlin engines capable of 162 seconds of burn time. The second stage is powered by a single modified Merlin engine with a burn time of 397 seconds. The Falcon 9 is the only partially-reusable launch system currently in service worldwide. The rocket’s first-stage booster performs a vertical soft landing after each flight. The booster can then be refurbished and launched again. SpaceX is also currently testing reusable fairings and plans to attempt their first fairing recovery in 2018. Development of the Falcon 9 launch vehicle began in 2005 following the decision to scrap the development of the Falcon 5. 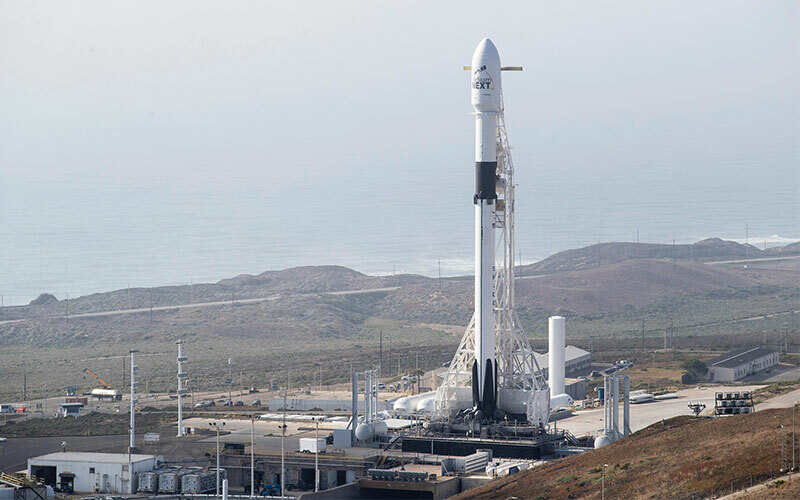 Unlike the Falcon 1, the Falcon 9 was not solely funded by SpaceX itself and development relied heavily on NASA’s US$396 million in funding. NASA’s funding was used to develop not only the Falcon 9 but also the Dragon capsule. The capsule would later be used during the first ever commercial resupply mission of the International Space Station. In total, it is estimated that it cost SpaceX (with their NASA funding) approximately US$846 million to develop the Falcon 9 and Dragon Capsule. However, industry experts later found that development of a similar launch system within a NASA framework may have cost American taxpayers as much as US$4 billion. The study concluded that NASA’s funding of the Falcon 9 was potentially the single greatest investment the agency had ever made. Testing of the Falcon 9 launch vehicle began in January 2008 with the first multi-engine test. Over two years later on June 4, 2010, the Falcon 9 v1.0 took off from Cape Canaveral Air Force Station for its maiden flight. Since 2010, the launch vehicle has gone through three different iterations. The Falcon 9 v1.0 and Falcon 9 v1.1 have both since been retired with the Falcon 9 Full Thrust currently being utilised by the company for commercial orbital flights.